Imagine gaining an edge on your Facebook competition without spending thousands of dollars on research. Let’s say someone hands you a current report that shows you exactly what times of the day (and week) audiences interact with brands on Facebook. Now, you’ve got an edge. 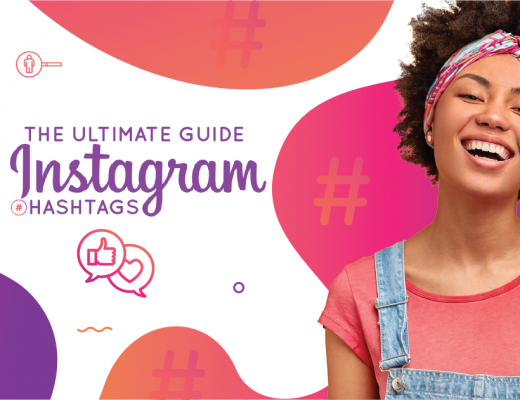 In this guide, we show you the best times to post on Facebook to get more likes, comments, and shares for your brand. Did you know that many of your competitors are scheduling content based on old data? Worse, they rely on studies about when other brands publish, instead of when people engage with brands. And it’s all based on recent data that measures audience-to-brand activity. Since changes to its algorithm in early 2018, Facebook has become commonly referred to as a “pay to play” network. Brands wishing to expand their reach and grow an audience on Facebook must include paid advertising as part of their strategy. So, if you’re hoping to increase your brand’s reach, then Facebook Ads Manager will help you find the best times to place paid advertising. But, if you want to increase engagement (reactions, comments, and shares), then you’re in the right place! 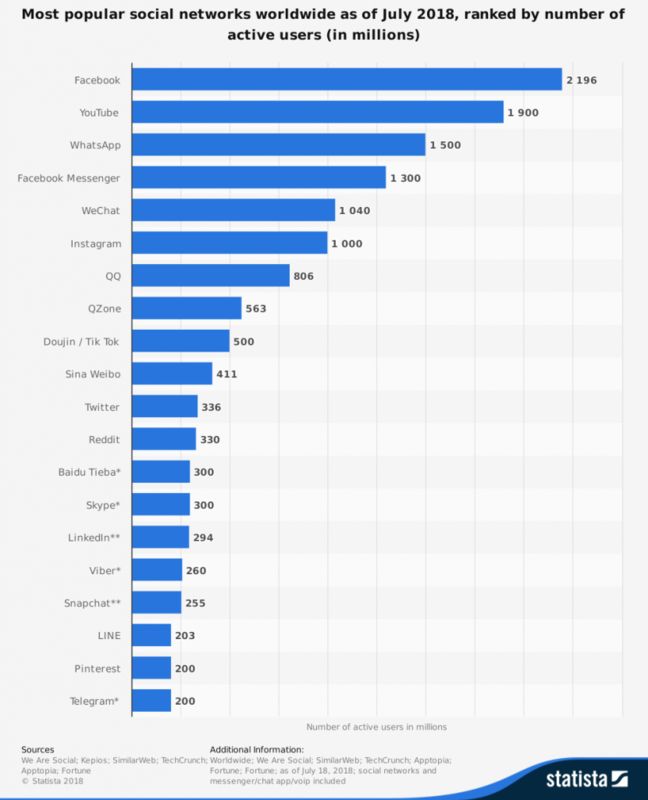 Facebook is the most popular social media network as of January 2019. 1.5 billion people use Facebook every day. Despite the algorithm changes and privacy concerns that define the current 2018 Facebook landscape, the social platform continues to grow. The recent Statista report below lists the top social media networks by popularity. Not only is Facebook still the #1 social media network, but the company also owns 4 of the top 6 social networks worldwide. WhatsApp, Facebook Messenger, and Instagram are also owned by Facebook. That’s why Facebook continues to be a top priority for brands hoping to engage an audience on social media. 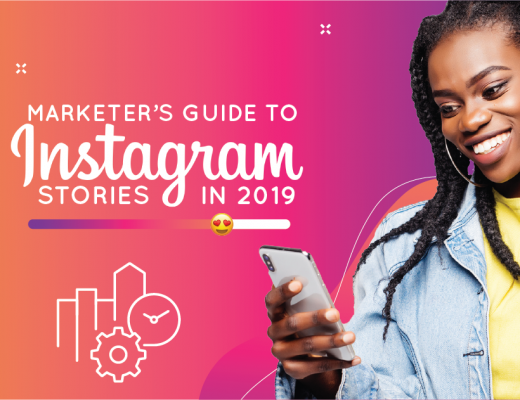 Keep reading to discover the best opportunities to boost your brand’s engagement on the most popular social media channel. Except where otherwise noted, our suggestions are based on data from Unmetric’s recent study that examines which time periods have the most audience-to-brand engagement. 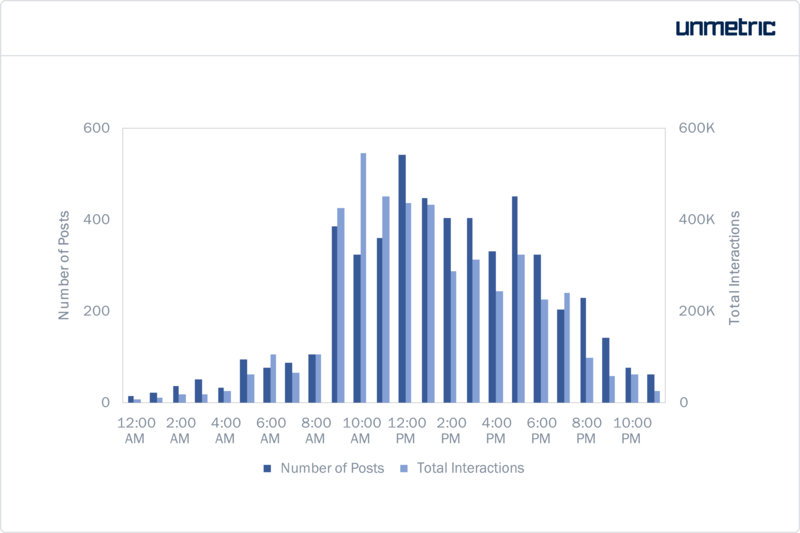 The #1 best time for brands to post on Facebook is Wednesdays 10 - 11 am. Even though most brands post between 12-1 pm, the 10 – 11 am time slot is better because that’s when audiences are most engaged with brands. 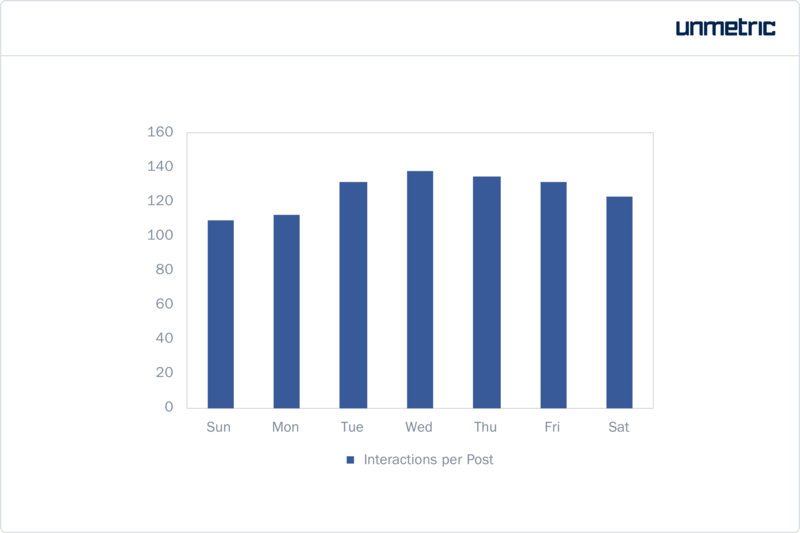 Any day between 10 – 11 am (especially Tuesday through Saturday) is an excellent time to post, but Wednesdays have slightly-higher engagement rates for brands. Interesting fact: Many reports indicate that Thursdays are the best days to publish content, but our research shows differently. Thursdays have the overall highest engagement rates, but brands get the most interaction on Wednesdays. 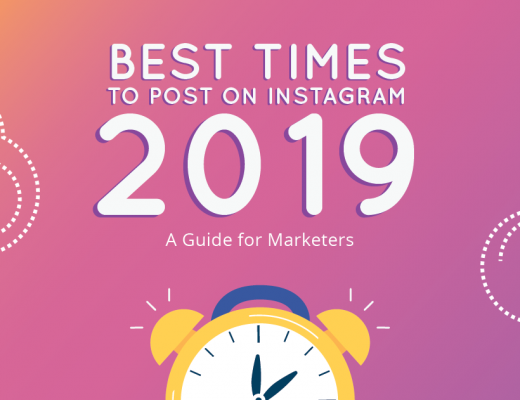 The next chart shows you how the most popular times versus the most effective times to post. 2. The #2 best general time for brands to post on Facebook is anytime between 9 am – 2 pm Tuesday through Saturday. Sundays and Mondays also have high engagement rates, but they’re slightly lower than Tuesday – Saturday. Interesting fact: Content published between 9 am - 2 pm brought in 50% of all brand interactions. 3. 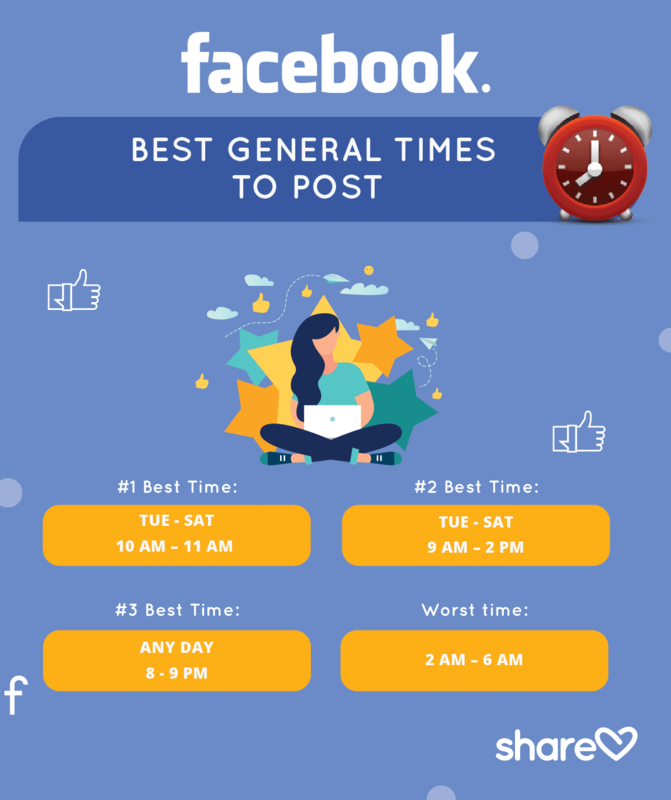 The #3 best general time to post on Facebook is 8 – 9 pm on Thursdays. 8-9 pm – any day of the week is also a high engagement period, but studies show Thursdays are slightly better. Interesting fact: Most brands don’t publish content after business hours, even though there’s a sharp spike in engagement between 8 – 9 pm on weekdays. As a result, 8 - 9 pm may be an excellent opportunity for brands looking for a high engagement time period with low competition. 4. The worst general time to post on Facebook is 2 am – 6 am. Just. Don’t. Do. It. 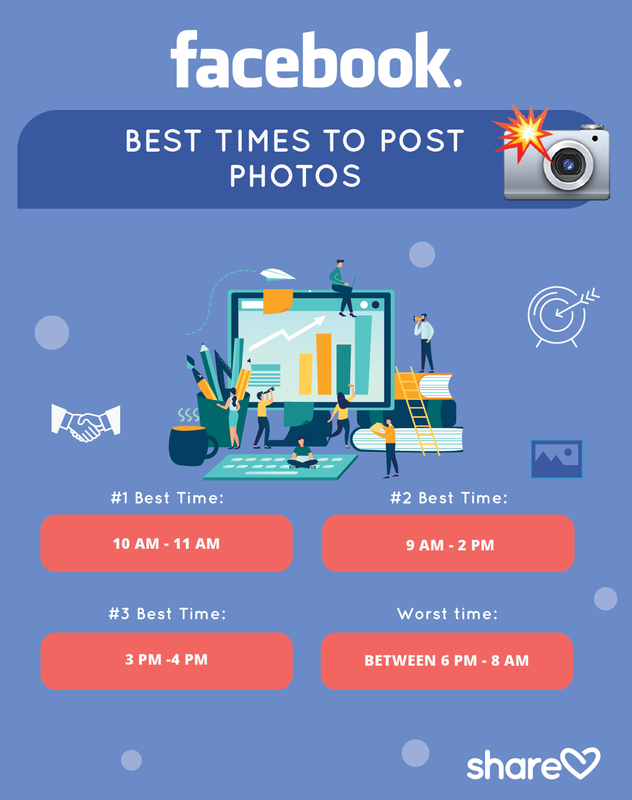 What Are the Best Times to Post Photos on Facebook? The absolute best time to post photos is between 10 - 11 am. (This is the same time frame as the #1 spot above). The second-best time to post photos is between 1 – 2 pm. You might want to lean toward publishing closer to 1 than 2 since there’s a dramatic dip in engagement at about 2 pm. The third-best time for posting photos is between 3-4 pm. The worst time to post photos is after 6 pm and before 8 am. 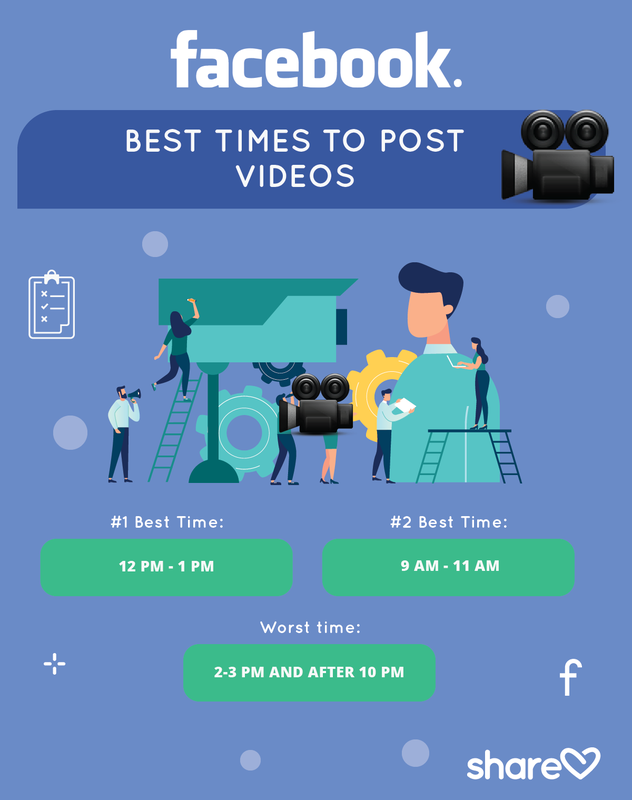 What Are the Best Times to Post Videos on Facebook? According to the way users interact with brand videos, here are the best times to post videos. The absolute best time to post videos on Facebook is between 12 - 1 pm. The second best-time to post videos is between 9 – 11 am. The worst time to post videos is between 2-3 pm and after 10 pm. Tip: When you post videos, be sure the content is compelling enough to engage your audience. 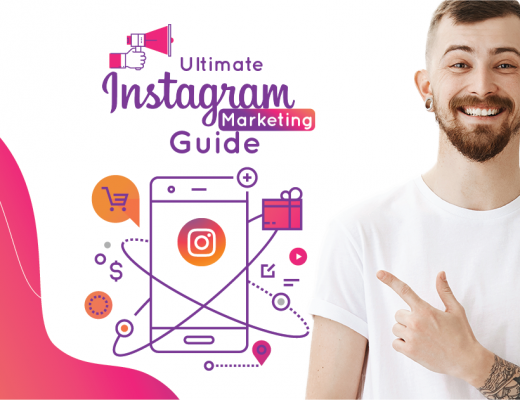 Take the time to get to know your followers and study what types of brand videos they’re most likely to interact with. Because when you publish videos that get repeat viewership, they get a boost in the news feed. What Are the Best Times to Post Live Videos on Facebook? The best time to live stream on is when your audience is most likely to be on Facebook. 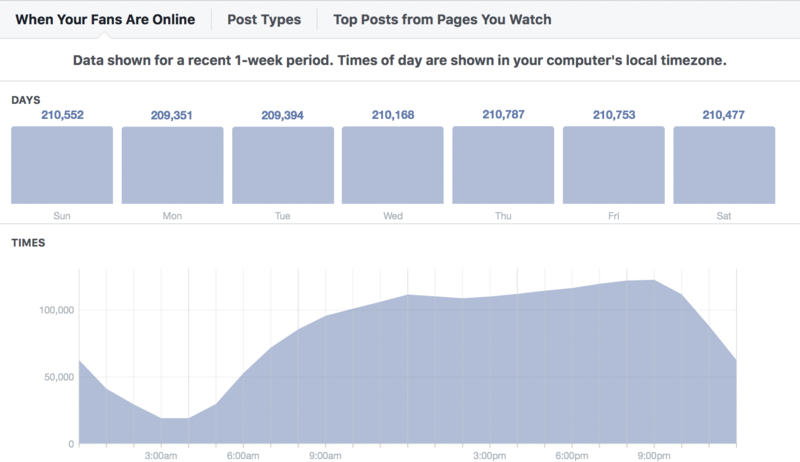 Facebook Insights shares information about when your audience is online. From your brand’s Facebook page, choose “Insights” from the top menu. Next, select “posts” from the choices in the left-hand column. Choose the “When Your Fans are Online” tab, located above the chart. Below the daily information is a chart that shows you what times of day your audience is most active. Scroll over different points in the chart for a popup that gives you more details. Tip: Consider scheduling a regular weekly live stream so your audience can make plans to join you live. This gives you the chance to invite, announce, and promote your live videos. Since content that generates conversations between people shows higher in the newsfeed, be sure to engage your viewers! Encourage viewers to introduce themselves as they join in throughout your broadcast. Mention people by name as they introduce themselves. Ask people to share comments and opinions. Be sure to give your viewers a reason to engage! Live videos are saved so your followers can watch them later. Your video is more likely to appear in their newsfeed during the live broadcast. Live audience interaction boosts viewership. Followers are more likely to attend live events when they’re already on Facebook. Although this may only happen once or twice a year for your industry, it’s worth your while to prepare yourself to broadcast live news as it happens. Be sure that the news is relevant to your audience and important enough to capture their attention. What Are the Best Times to Post for Specific Industries? The recommendations below are based on slightly-different data than the ones above. 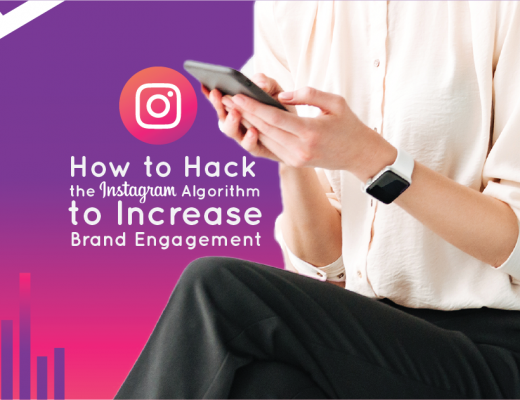 Provided by *Sprout Social, this data examined specific brands, channels, and time frames for the tech, education, and healthcare industries. 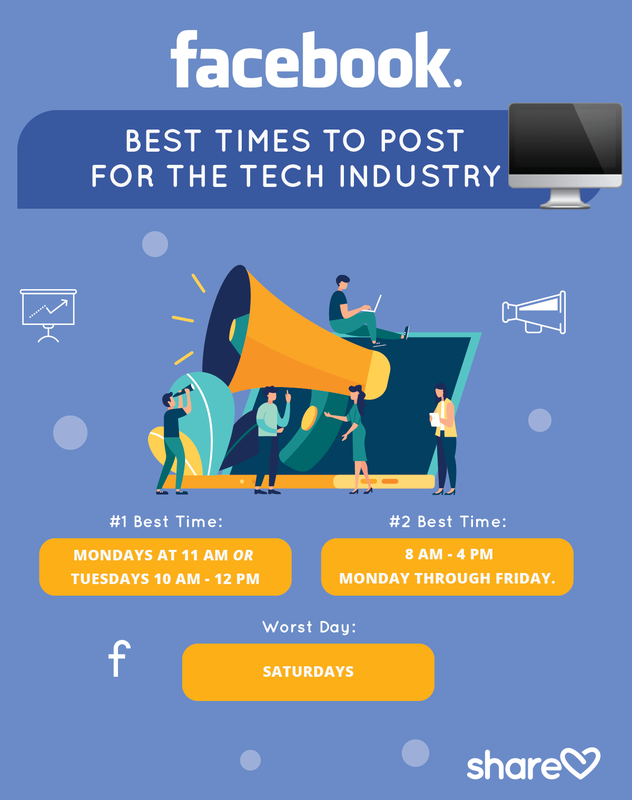 The best time for tech brands to post on Facebook is on Mondays at 11 a.m. or Tuesdays between 10 a.m. - noon. The second-best time for tech brands to post on Facebook is 8 am – 4 pm Monday through Friday. The worst time for tech brands to post on Facebook is on Saturdays. 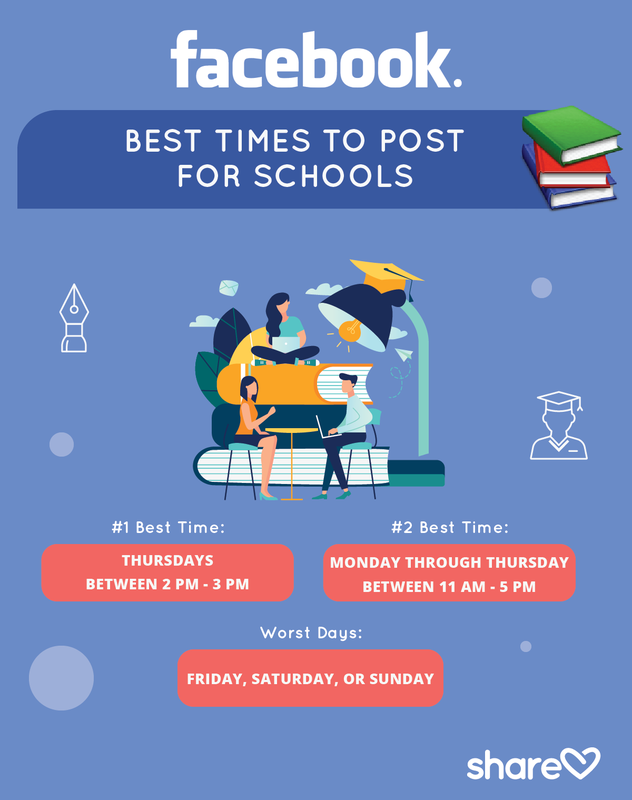 The best time for schools to post on Facebook is Thursdays between 2 - 3 pm. Anytime Monday through Thursday between 11 am – 5 pm is also good. The worst time for schools to post on Facebook is anytime Friday, Saturday, or Sunday. 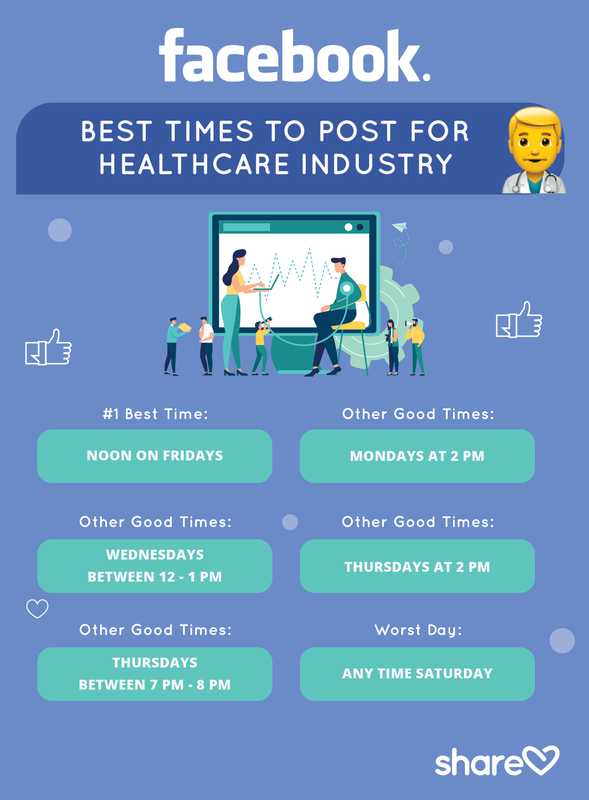 The best time for healthcare practices to post on Facebook is at noon on Fridays. Thursdays between 7 – 8 pm. Sunday at noon or 2 pm. The worst time for healthcare practices to post on Facebook is anytime on Saturdays. Most brands should post about once a day. However, if you have over 10,000 followers, you’ll want to publish more often. According to a recent report by Vend Social, most brands see a decreased number of clicks when they post more than 1 – 2X a day. But, larger brands with 10,000+ followings receive more interaction the more they post. No matter how often you publish, keep in mind that quality comes first. Share content that people will react to and comment on, so your post has a better chance of ranking higher in their newsfeeds. Start by using the best posting times above to schedule content in your social media calendar. As time goes by, the Insights feature will show you which times are working best for your audience. About half of all the comments a post receives in its lifetime happen within an hour of publication. So, Publish toward the early part of your “best time to post” window. For example, if 10 – 11 am is the best time frame, don’t wait until 10:55 am to publish because you’ll miss 55 minutes of prime engagement time! Learn how to avoid engagement bait before you press “post,” so your content has the best chance of getting seen by your followers. Publish content that compels people to engage. Remember, more engagement = higher newsfeed rankings. Every time your brand posts on Facebook, you’re competing with a sea of global giants. So, your content needs to be compelling and laser-focused on your target audience if you want people to engage. As with any social media platform, be sure to experiment, measure results, and adjust your posting schedule as you learn what works best for your audience. 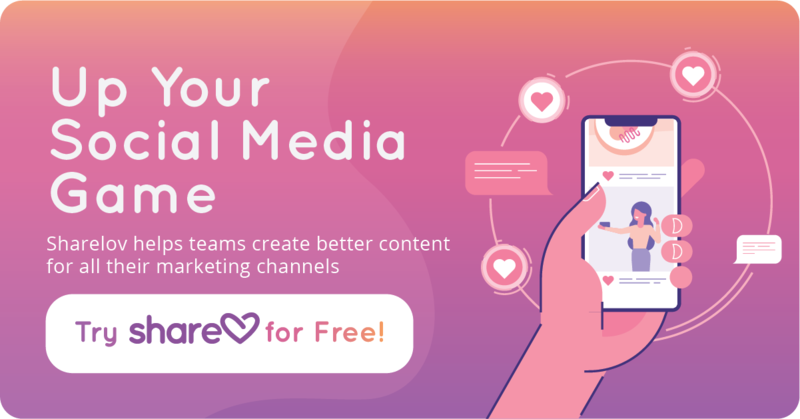 With Sharelov, your team can work together faster to produce better marketing campaigns from social media to traditional. 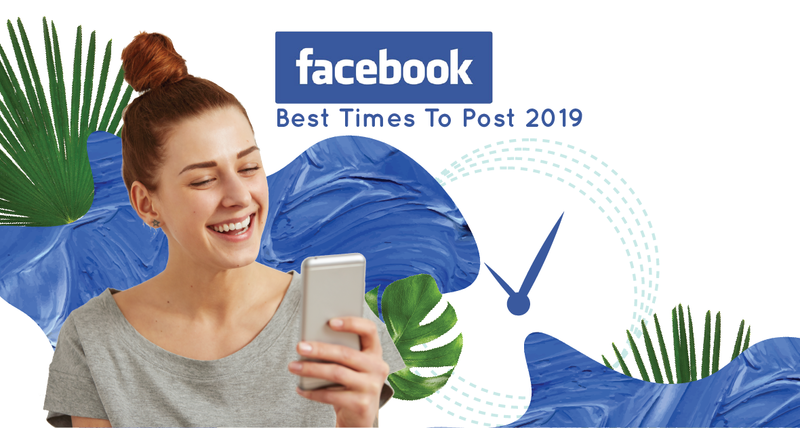 What do you think about the best times to post on Facebook? Do you have any inside tips for your industry? Tell us about it in the comments section below!